In today’s short article, I’m going to write about some smart Divi theme’s visual builder keyboard shortcuts that I use. 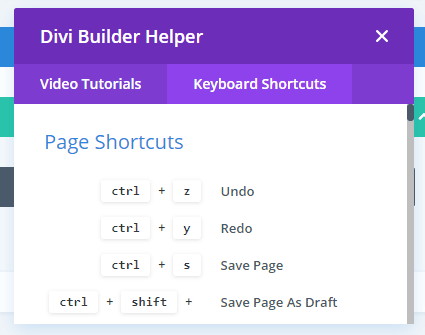 If you use Divi every day or quite often and are not using keyboard shortcuts, you should be. At least the following 7 ones. It will make your work much more easy and you will be more productive. Note: If you use a PC instead of a Mac, just replace Cmd with Ctrl. I use this one to save changes to the layout that I’m building or to save my page or post as a draft. This one is used to publish your new page or blog post or save changes that you have made to an existing page or post. Activate wireframe mode – sometimes you may prefer to see your layout in blocks (sections, rows & modules). This shortcut allows you to do it quickly, without the need to switch to the backend builder. And this is the end of my list. If you forget these shortcuts and just want to see and learn all of them, just type the question mark (Shift + ?) 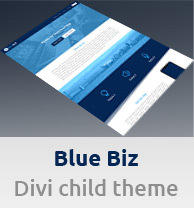 on your keyboard right in the visual builder and a pop-up with all Divi keyboard shortcuts will appear on your screen. Have I missed any shortcuts that you use? (I have included only my top 7 in this article) If yes, feel free to let me know in the comments below. For more Divi quick tips like this one, subscribe to my newsletter.